You have got adsense and you are going to monetize your blog ; then the best and simple guide on where to add your adsense ads is inside the video below. What I usually tell bloggers is to care about your content. Don’t be a cheap seller. Think of yourself as a shopkeeper and your blog as your shop. Would you like to take money from your customers if they don’t know what they are buying ? Would you like someone to charge you by an accidental click? The ans is a big NO (well I know its not that big :P). So, what you should do? You should follow the trends of gigantic blogs. Sell things by showing off the features they have in them. tell your customer yes this is the product you will get. Speak out yes this is the ad, but I think it will be useful for you. Try it. There a lot of text ad sizes available in Adsense administration panel you can go choose from them. But the question arises when you think about which size will suit your blog better which will convert better and which will get you potential clicks. 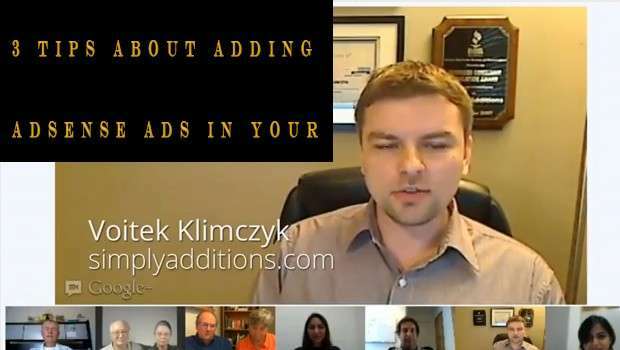 Here in the video below you will find people telling you which ad size worked better for them listen to there revenue increments. Get inspired make your decisions count. Yes, its a strange thing that you will hear a lot of bloggers telling saying and expressing in different manner that you should use only two content ad units. Well this doesn’t seem to be a real deal with me and so many other bloggers. You doubt my words? Yea nay? find this in the video below ..
Do you wana tell us which ad size is working good for you? What is your opinion about using two or three content ad units?